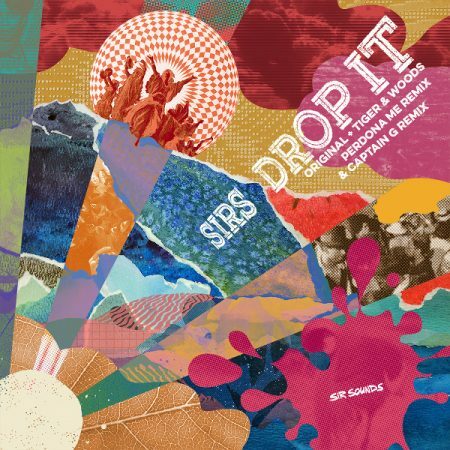 SIRS next release „Drop it“ on his own imprint has been received the magic remix touch by the reclusive italian duo Tiger & Woods plus Captain G from Berlin. The massive Tiger & Woods Perdoname Remix (125 Bpm) has this kind of an early 90´s house music feel with added organic percussive sounds + the wildness of a synth solo which is reminiscent of productions of George Kranz and Candido back in those days. Captain G from Berlin and his interpretation is kind of a Cosmic Boogie Disco version at 110 Bpm. Sirs Original version is a stomping more uplifting 108 Bpm Funky Boogie Track which for sure is a premium floor opener for those who know how to do it. Enjoy! This entry was posted	on Tuesday, August 1st, 2017 at 10:59 pm	and is filed under cutTheNoize. You can follow any responses to this entry through the RSS 2.0 feed. You can leave a response, or trackback from your own site.